Welcome, mon amis, to Henri’s Reserve and the secretive world of Family Estate Champagnes. 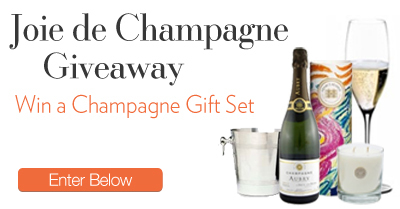 We cater to those looking to indulge in the luxuries of life – that’s why we are hosting the Joie de Champagne Giveaway. Win a $75 American Express Gift Card, Champagne Bucket, 12 Champagne Flutes, and a Linnea Lights Candle! The more points you earn, the bigger the chance to win! We look forward to sharing news of my exquisite Champagne discoveries, entertaining tips, special "Friends of Henri" offers and my oh-so witty musings (I write smiling).